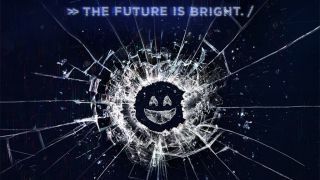 Netflix has done something very special with its latest instalment of Black Mirror, with Bandersnatch allowing users to interact with the episode to alter its outcome, but it doesn’t work with every device capable of playing Netflix content. The most notable device unable to play Bandersnatch is the Apple TV, and even the latest versions of Apple’s set top box are not compatible with the interactive episode. Chromecast devices and the Windows 10 Netflix app are also unable to play the episode. In fact, any app that uses Silverlight (software made by Microsoft to play online media) will not be able to play the episode. Devices running older versions of Android are also out of luck. According to Netflix, you’ll need Android 6.19 or later to play Bandersnatch, and your Netflix app will also need to be updated. It’s a real shame that some Netflix users are missing out on Bandersnatch, as it’s an incredibly innovative – and entertaining – instalment of Charlie Brooker’s acclaimed Sci-Fi anthology show. However, there are some ways around this issue. As 9to5Mac suggests, you can use your iOS device to play Bandersnatch, and mirror the content onto your Apple TV. You should also be able to do something similar with your Android device (as long as it’s running Android 6.19 or later) and using your Chromecast to mirror the screen of your smartphone or tablet. Users of the Windows 10 app should use the Netflix website through a web browser instead. Netflix hasn’t commented on whether the devices that are missing out will ever get interactive content, but at least there are ways for most users to not miss out in the meantime.